Bye Bye Johnny have written and recorded a song called King of the Scuttlers for MaD Theatre Company’s forthcoming production Angels with Manky Faces. The track was recorded at Vibe Studios in Manchester. Once owned by New Order, Vibe is now run by musician and DJ Martin Coogan (formerly of the Mock Turtles). You can listen to King of the Scuttlers on Bye Bye Johnny’s myspace here. Bye Bye Johnny will be playing a set in the bar at the Library Theatre in Manchester, prior to the last performance of Angels on Saturday 22 August. 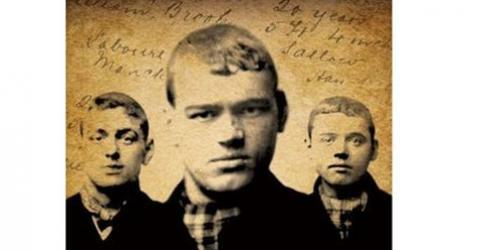 For another song on the scuttlers – based on a poem by Mike Duff – watch this space. Check out the page of poems by Mike Duff for “The ballad of Owen Callaghan.” Mike’s new poem tells the tale of an Angel Meadow scuttler of the 1880s.